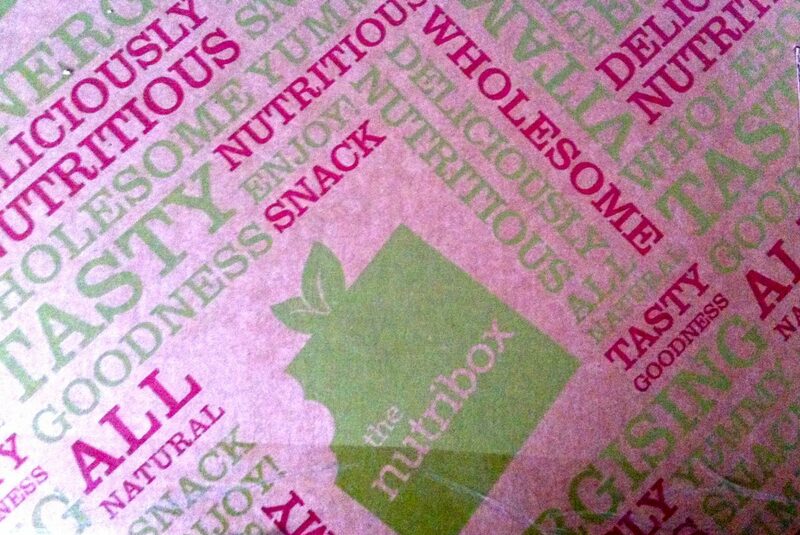 A few weeks ago, when i was just starting to get my exercise routine into a bit of shape, i was contacted by The Nutribox to see if i’d like to sample one of their ‘Mini Boxes.’ I was a bit hesitant at first as i’m not really one for spending money on regular food boxes- mostly because my husband would give me the evils for going over budget, but i i’ve always wanted to try things like these and Graze as they do offer excellent gluten free snacks – particularly handy when you’re in the city centre and everything is convenience glutenated. It was particularly helpful to have something in my bag in the cinema which i didn’t feel too guilty eating too! All the snacks in the Nutriboxes are Gluten Free, which is reassuring if you’ve always wanted to try Graze boxes but were concerned of any cross contamination. I say this, but on the back of the Ludlow Nut Co nut mixes i did find that it had a notice saying gluten containing products were produced on the same line. Not being a coeliac this isn’t a problem for me but may be worth double checking before you order for a swap, if you are concerned. 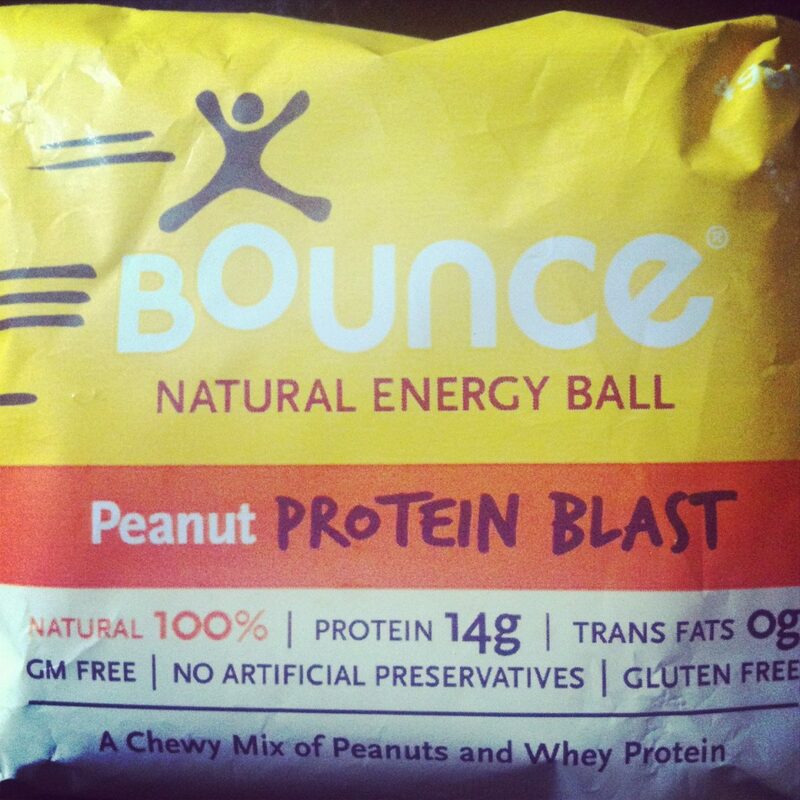 Some of the snacks are rather calorie dense with this protein Bounce boost bar being around 200 calories, but it did fill me up throughout the morning before doing my skipping rope exercise routine outside (So cool it hurts right?). This was my favourite of the bunch, it was something different, no nasty bad sugar and if you love peanut butter it is definitely a winner. The Mulu raw silk chocolate was also a lovely surprise, i found myself grating one of the blocks every night over some probiotic frozen yoghurt which was a lovely dessert with no cane sugar involved. My husband trialed the Happy Kitchen Pecan Brownie and the 9 Nutty Bar, no complaints here but more delighted to see something new added to his lunch box, which is a victory in itself as he’s not keen on eating nuts in things. If you do have a nut allergy i think it would be difficult to trial the Nutribox, almost all of the snacks had nuts in. Most of the gluten free snacks were also dairy free so if dairy was a concern i reckon you’d be safe! Every box has the option to be vegan too. It costs £12.95 a month to get the Nutribox Mini that i sampled, but is 8-10 snacks enough to fill the monthly snack need? 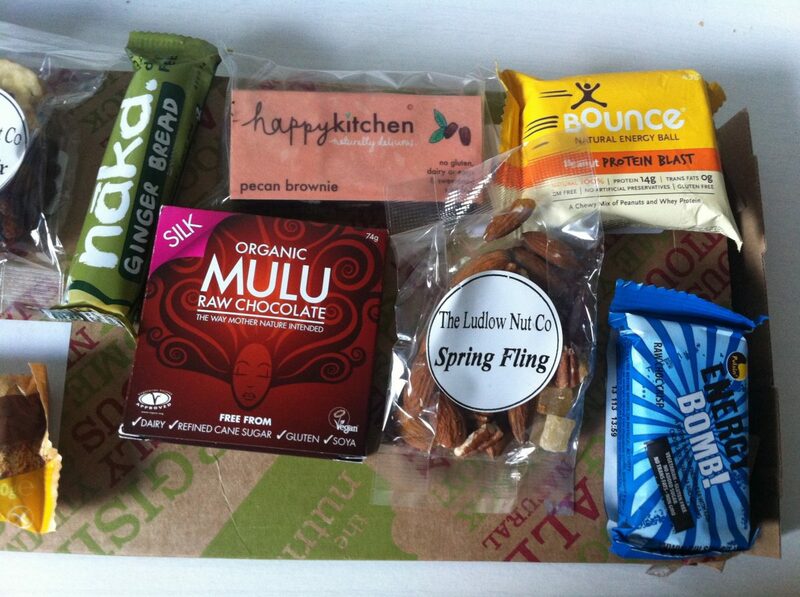 I reckon it’s definitely a good box to get if you are looking for post-pre exercise snacks, gluten free things to eat on the go that are a bit different and healthier than say a packet of crisps. It’s definitely a positive that the snacks are gluten free as i would most likely go into a shop and pick up something on the way- but if you have problems in the city center like i do finding gluten free friendly snacks- then it’s just nice to have it sorted. It would be tempting to get the Nutribox of 16-20 snacks, but at £25 a month i cannot justify this with cats to feed, and being on a gluten free food budget is bad enough on the wallet. If you sign up for a 3-6 month subscription this price does come down a few pounds but not enough to make me try it long term. I would stick to the minibox! Definitely good for the gluten free/ coeliac person on the move. The Mini box would be a happy addiction to the shopping list if you’re exercising and dieting and find it hard to keep track on the cals. 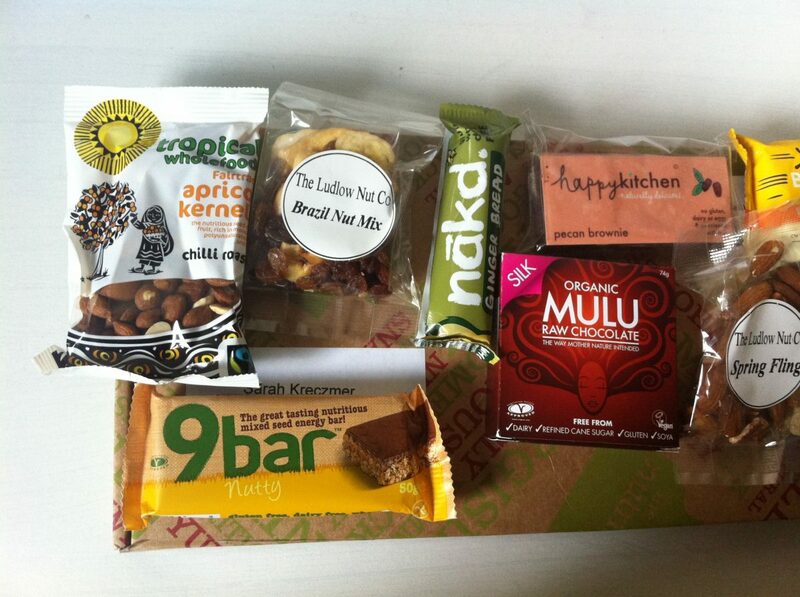 The snacks provide good,healthy, low sugar treats and i think it just depends whether your lifestyle fits the bill! For more information on The Nutribox please see their website or give them a tweet! Nutribox has been kind enough to set up a Wbites discount code for 10 of my readers to receive 35% off your first box which you can claim by entering WB35 in the discount codes box on https://thenutribox.com/join. Make haste! I was given a complimentary The Nutribox Mini to sample but this in no way affected by opinion of the product. Ilumi Gluten Free Product Review & Giveaway!